As we can see, the server is specified and PerUser licensing mode is used. 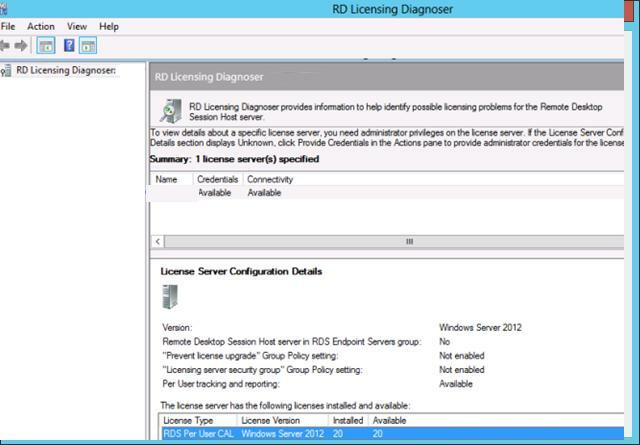 RD Licensing Diagnoser also doesn’t show any problems with RD server configuration and licenses. 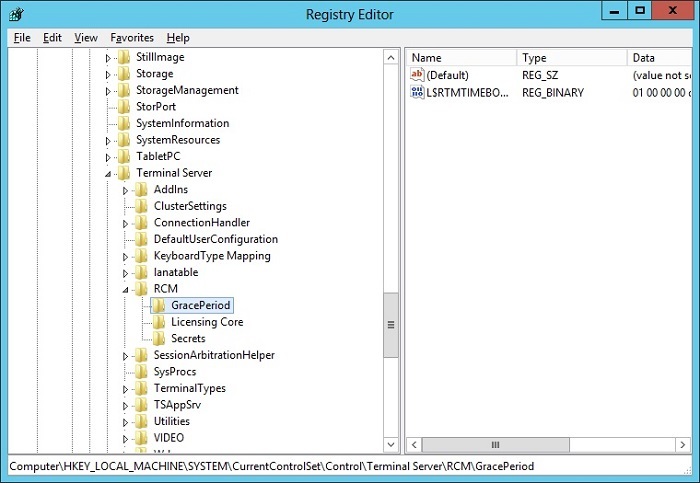 Using RD Licensing Manager (licmgr.exe), make sure that there are free licenses on the server, but on some reason they are not issued to the users (Issued = 0). It appears that the RDSH server decided that the grace period of using the terminal server is over (120 days), and either it has to be extended or the RDS licenses have to be activated on a full-version server. It seems to be an RDS bug in Windows Server 2012. You have to remove L$RTMTIMEBOMB key. 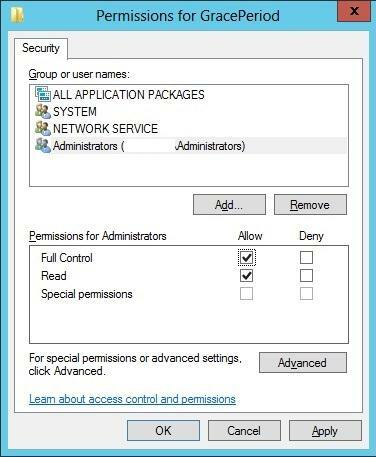 However, the administrator doesn’t have relevant privileges to do it. To remove this key, grant your account the privileges of the branch owner, and then the right to make any changes. 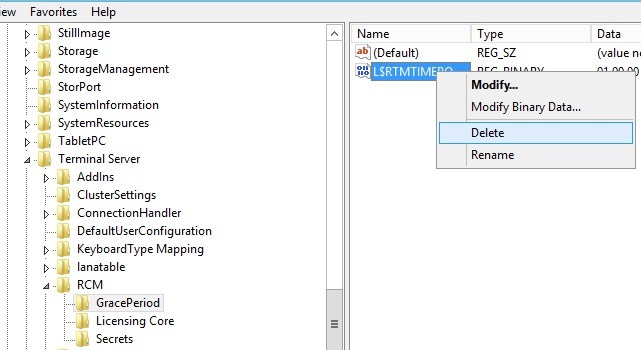 Now, right-click L$RTMTIMEBOMB key and delete it. 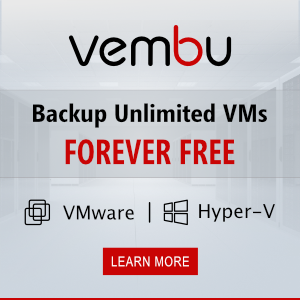 Restart your server, and connect to it using RDP client. 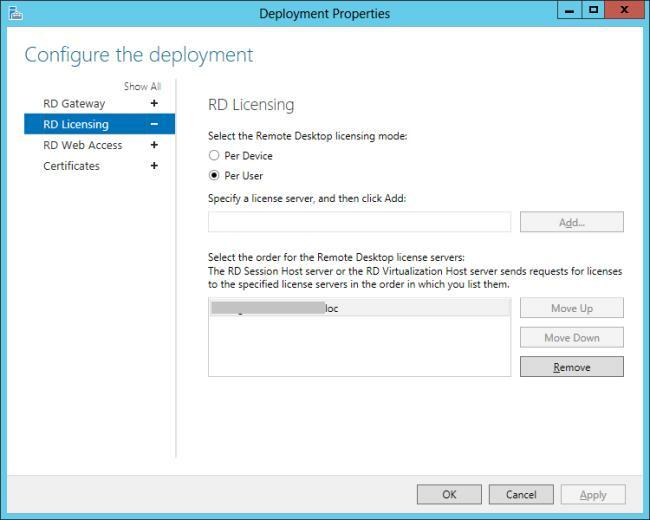 Make sure that the license has been issued successfully in Remote Desktop Licensing Manager. 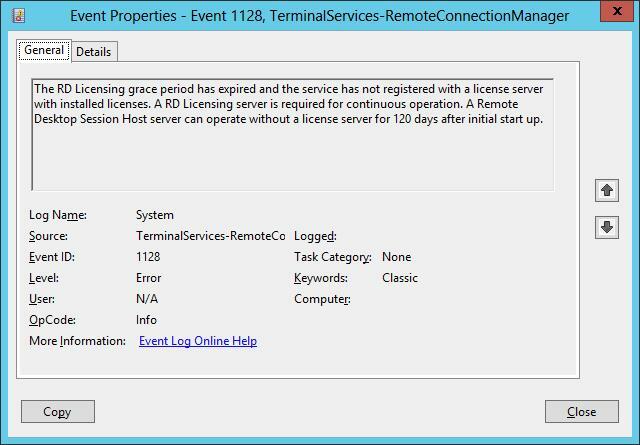 As you can see, the licensing server is not set (SpecifiedLSList is empty). Set the RD licensing server with the following command. After it had been done, the server started issuing licenses to RD clients. I get the following error. Do you need to run a different command to update? 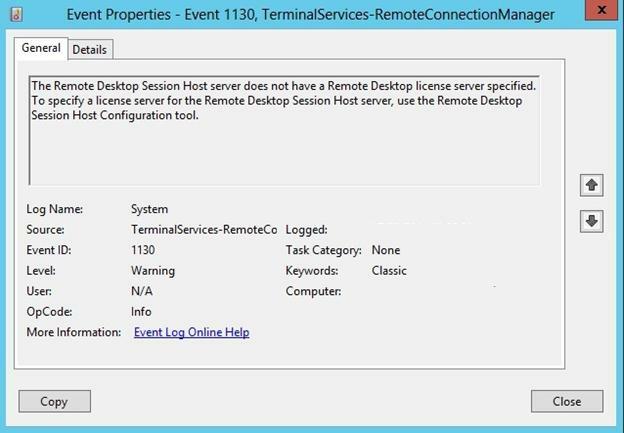 Exception calling "SetSpecifiedLicenseServerList" : "Invalid operation "
Are you running this command in elevated mode on the server with RDSH role? I tried the allow full permissions of grace period that is detailed above but got access denied. I went into same security > advanced option for grace period, changed owner to admin account and then was able to delete the timebomb entry, rebooted and now have 120 days to figure out why the license won’t load (but that’s another story). Great detail that helped me out. THANK-YOU! This worked for me also. Where did you set the license server? On the RDS Server for shure. …but did you also set it on the license server itself? I´m asking beacause my RDS Server has the license Server set but nevertheless is in grace period. Also after i deleted the timebomb;) key and rebooted. Extremely helpful! Thank you very much for this detailed explanation of this issue and the resolution. Helped me with a W2012R2 server that had this sudden issue out of the blue.